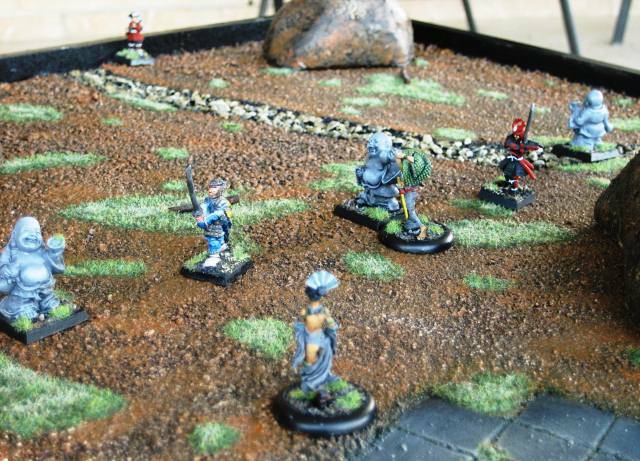 My first Bushido game was interesting. 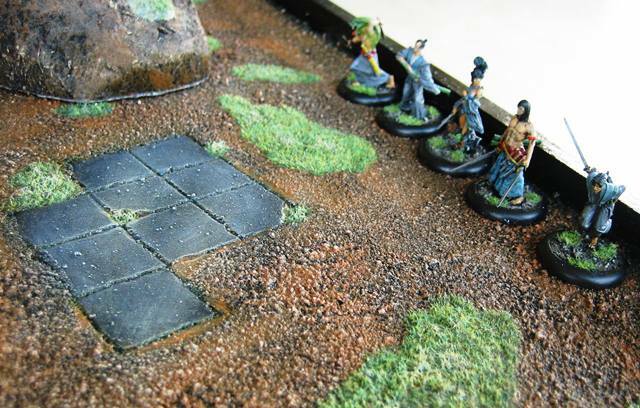 IMHO Bushido is a game all about combos (like many other games out there). History has shown that I am not very good at combo style games. However, the low model count does make this game a little easier. The game we played was Ito vs Prefecture starter box sets. I played Ito and my opponent played Prefecture using substitute models. We played a simple mission that has 3 objectives across the centre, not sure of the name (I am at work so do not have my book). It was a 6 turn game, but we only completed 4 turns due to time restraints. 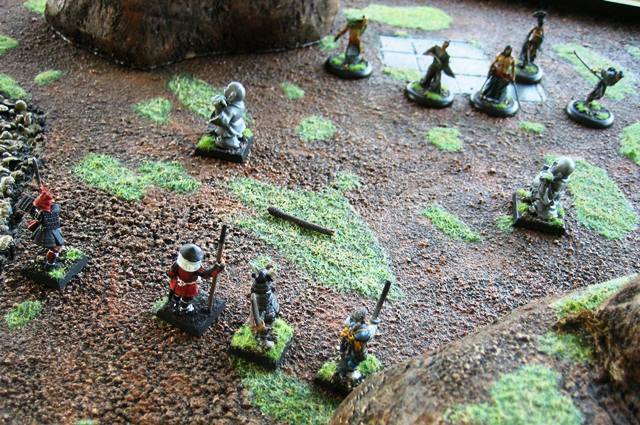 We both ran our warbands towards the objectives. Minuro did not move and shot at my Temple Bushi doing 2 damage. Sakura channeled 2 Ki to Itsunagi. I used Orochi Blood to give Itsunagi a level 2 poison trait. 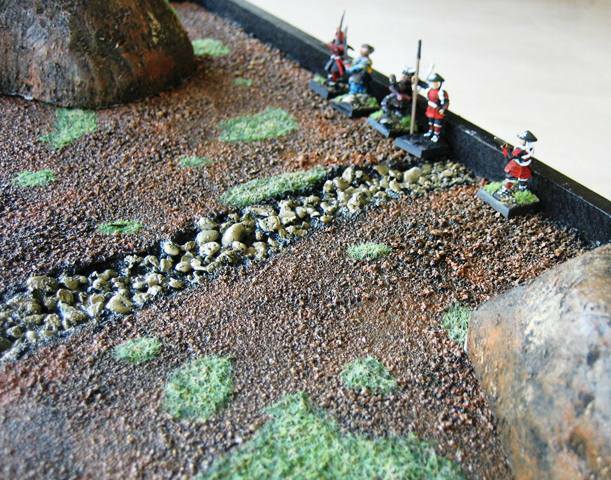 Both of our models move to claim the objectives. Itsunagi charged Hiro and killed him. I used Itsunagi’s Armour Piecing skill and 6Ki to do it. I used the 6Ki to gain +3 attack dice and put all my 7 dice into attacks and luckily it paid off. I am not sure if that was smart or a lucky gamble. More experience is required for me know the finer tactics. Sakura used Psychic Venom and poisoned (2x level 1) the Yariman. I had 2 objectives at the end of turn 2, so I gained 1VP. Minuro shoots Itsunagi and does 5 damage. Ouch! Hanso (I call him Han Solo because he is a legend) then charges Itsunagi and killed him easily. Jin tried to charge Akimoto, who pops his fear and she fails. 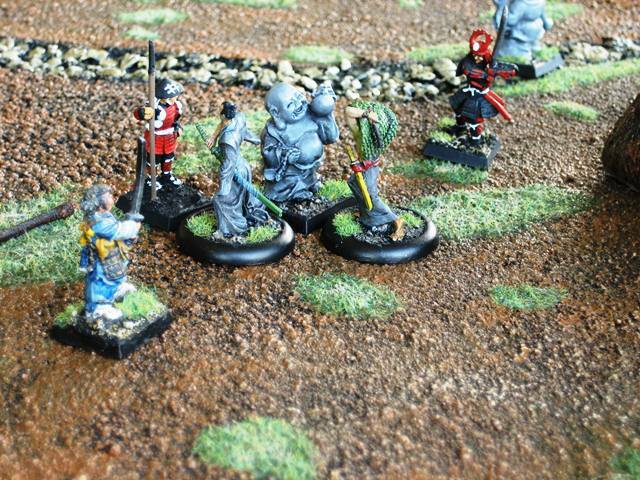 The Temple Bushi charges the Yariman and they fight a round of combat. Sakura uses Psychic Venom and poisoned (2x level 1) Jin. 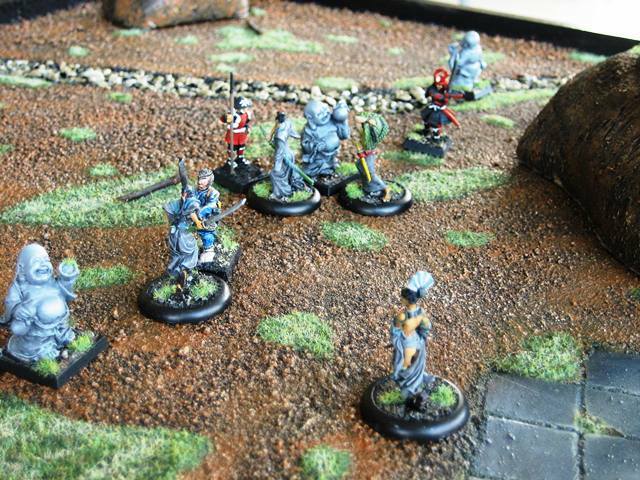 Chiyo charges Hanso to keep him away from the objectives and is killed. I rolled 4 attack dice: 4,1, 1, 1 – very bad luck and I did not put anything into defence. Ooops. 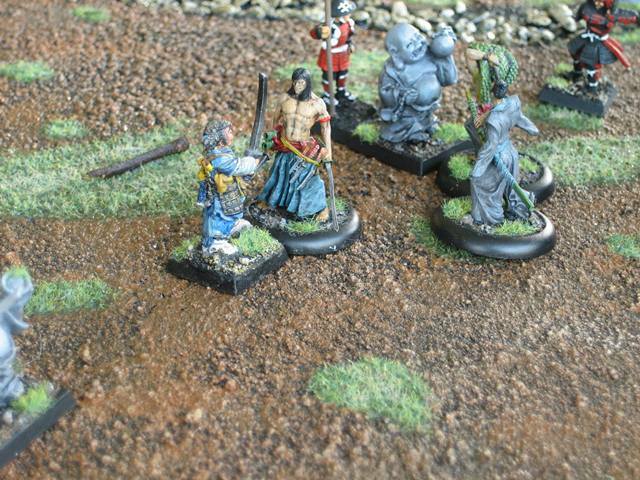 The Temple Bushi fights the Yariman for another round and the Yariman kills him. 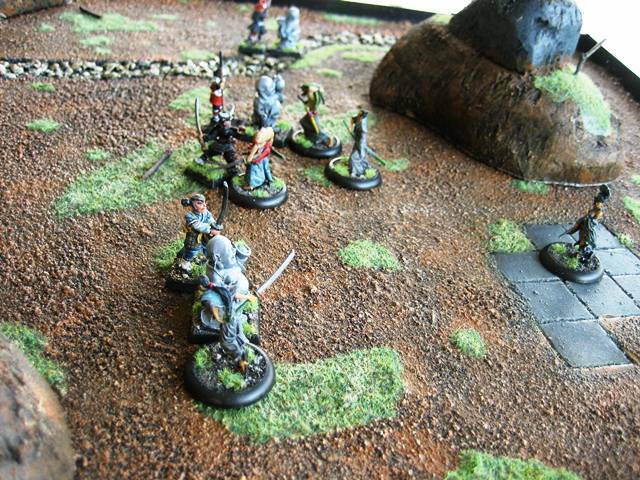 The Yariman dies at the end of turn due to Sakura’s poison. Sakura failed to poison Hanso with Psychic Venom. Jin tries to charge Akimoto who pops his fear, so she fails again. We both had only 1 objective at the end of turn 4, so no VPs. 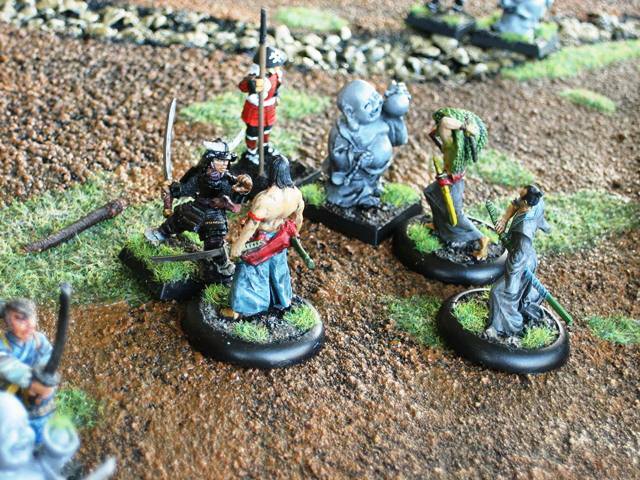 At the end of turn 4 I had Sukara and Akimoto left. My opponent had Jin, Minuro and Hanso. Even though we did not finish, it was a great game. We learnt a lot and made a few mistakes. I think I would have been totally killed by the end of turn 5 if we played on as I could see no real way of killing Hanso. Prefecture are strong and heavily armoured. Minuro’s gun is awesome with its +4 strength and also Hanso’s strength bonuses. Ito seems to lack armour and strength bonuses. Itsunagi is an awesome fighter but must be protected as he is soft. Akimoto’s stats looks useless but his fear and Orochi Blood makes up for it. I also believe I did not play Sukara to her full potential, so the jury is out on her value. Overall it was enjoyable game which uses great looking models. Who could ask for anything more. Thanks for your comment Greg. I learned that the hard way.